This is truly an impressively large castle. There are two slides and multiple obstacles within. 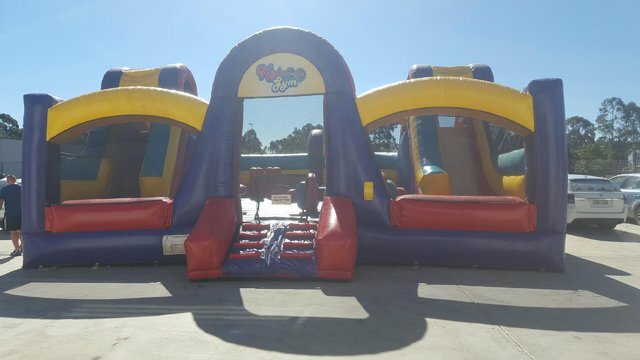 It is enclosed on four sides and has shade cloth over the bounce area for sun protection. Just the thing you need for next corporate event, fete or fair where there are a large number of children to be entertained.